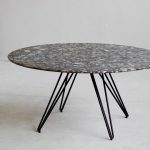 The UCCIO round table was conceived as a dining table, inspired by designs from the 50’s and re-interpreted as a round table. 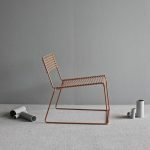 The base is made of a solid steel rod construction, while the plywood table top comes either with furniture linoleum, or a compressed laminate surface. 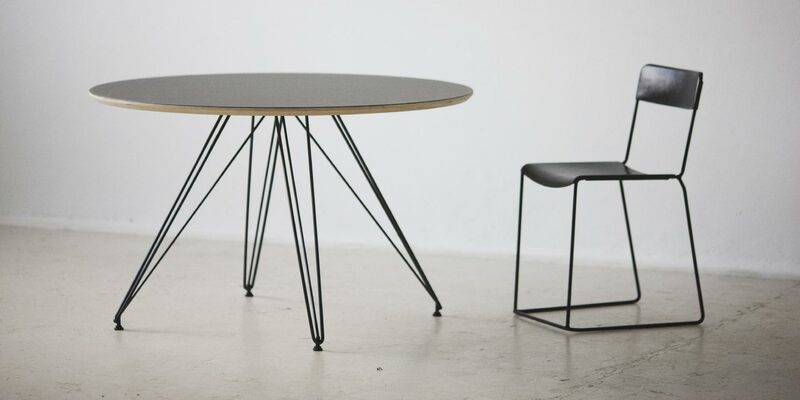 Available in three standard sizes, the UCCIO round table is available in various colour combinations.